These 20 photos will make you want to visit Slovakia now! In one of our recent articles I spoke about why we want to visit Lithuania. Its beautiful architecture, especially in the Old Town in the capital Vilnius and its many churches and cathedrals being among the reasons why we want to visit this country. I also pointed out that we have a list of European countries that we would be visiting some time in the future. Croatia, Montenegro, Latvia, Slovakia and Lithuania are some of the other places on our list. Slovakia has so many beautiful castles and its landscape is exciting and dramatic. We have never visited a castle before so this would be a great opportunity to see several during one trip. There are no words that can describe this beautiful central European country. 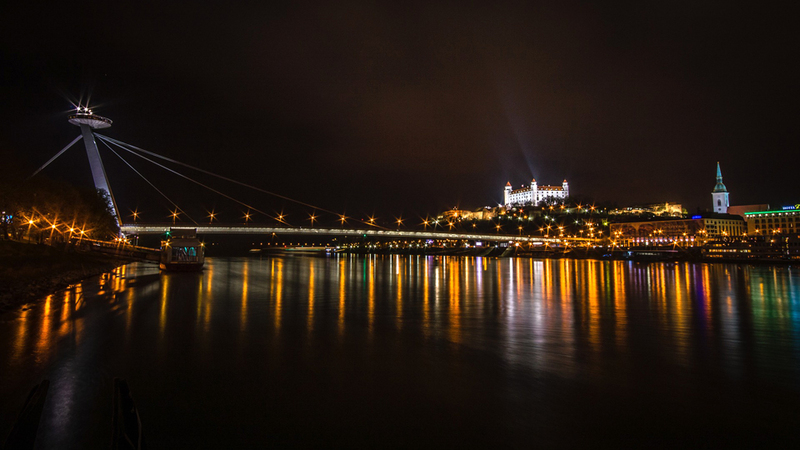 So, we have put together a group of twenty photos to give you an idea of what Slovakia looks like. 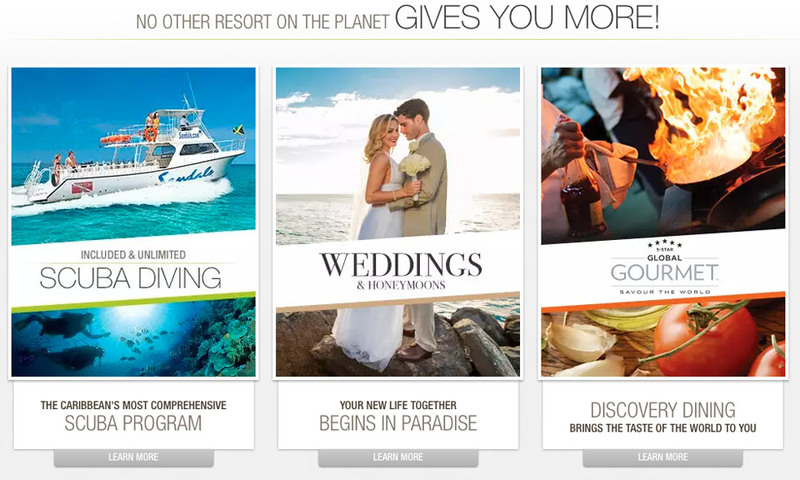 But, that is not all we have also included a synopsis of things to do and see in Slovakia. 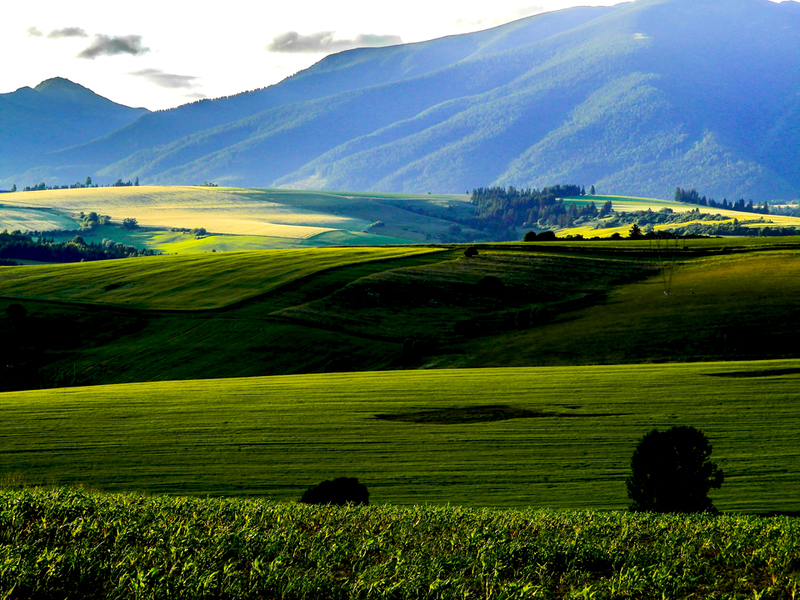 Liptov is one of the most beautiful regions in Slovakia. It's beautiful green meadow and rising peaks make it one of the most visited places during winter and summer. 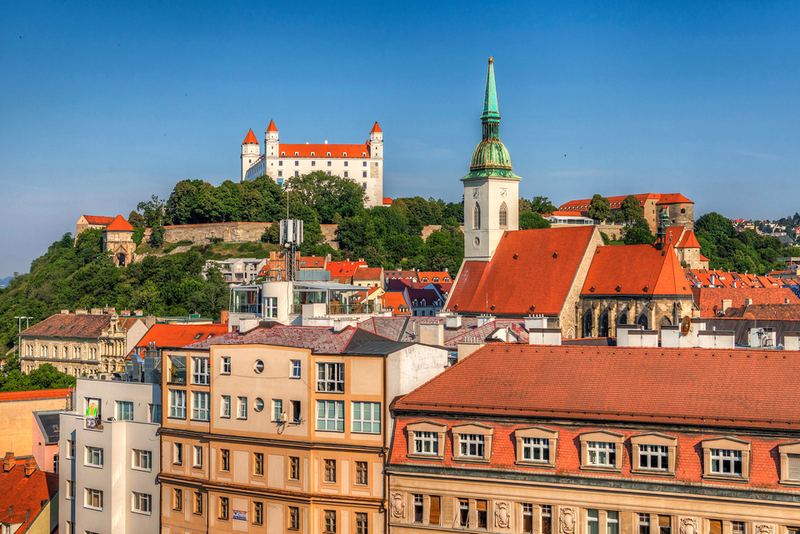 Bratislava is the capital of Slovakia. The Danube River flows through the city and hiking, cycling and other nature trails are just a short distance away from the capital. 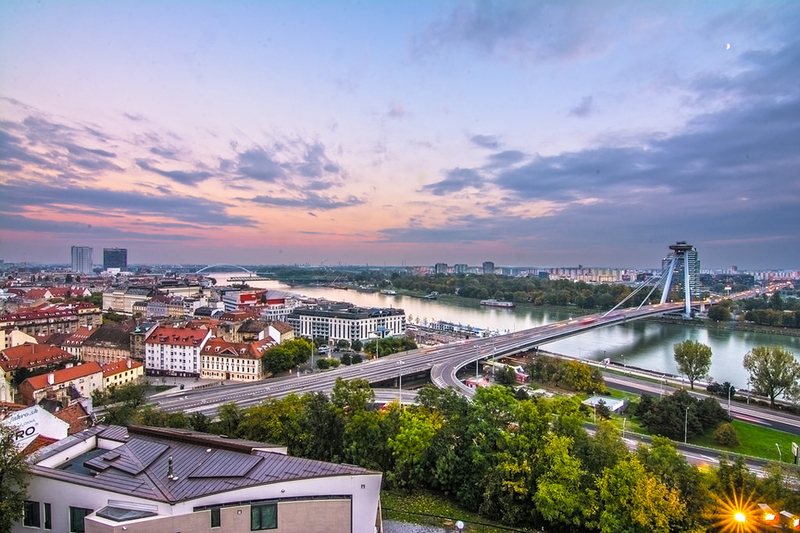 Bratislava, view from the Most SNP bridge, Slovakia. 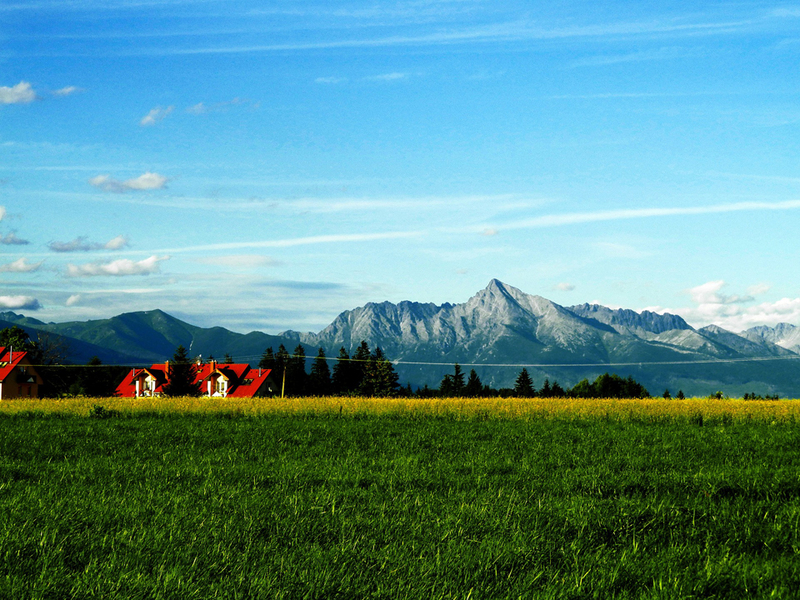 Both the High and Low Tatra help make Slovakia the beautiful country that it is. Many visitors prefer the Low Tatra because of its pristine forests, hiking trails, breathtaking views, waterfalls and flora and fauna. View of the Tatra mountains, Slovakia. 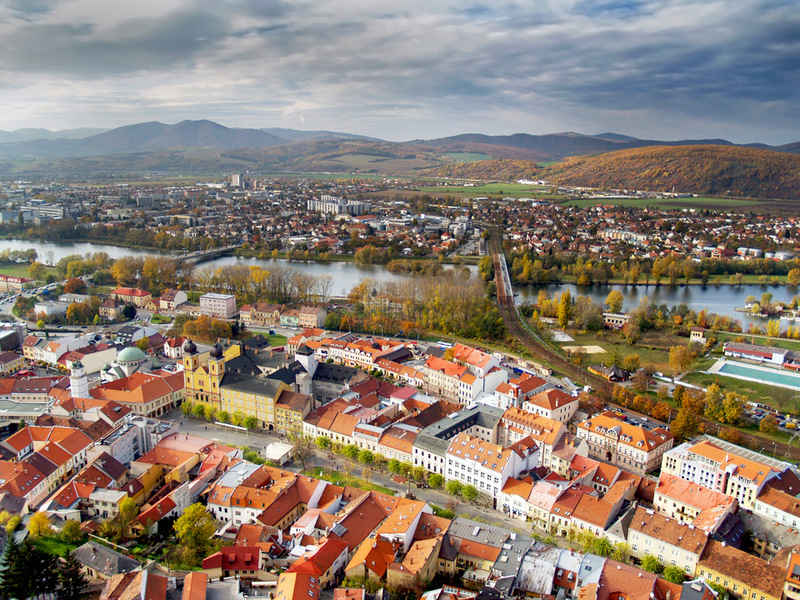 Trenčín is another one of the beautiful Slovak cities. It is located in western Slovakia and is known for its famous landmark, the Trenčín Castle, as well as other other cultural sights, festivals and tourist attractions. Trencin, Slovakia. Piarist Church of St. Francis Xaverský. According to tourists and nature lovers, Krivan is one of the most beautiful peaks in Slovakia and is also among the favorite mountains in the western part of the High Tatras for hikers. This Bratislava tour starts with a shot of a local spirit right in the middle of the main town square. Enjoy a one day trip to the pride of Slovakia's famous High Tatras, UNESCO heritage village Vlkolinec. During this 11-day tour you will explore the most beautiful places in Slovakia. The tour is a great combination of cultural sightseeing and light walking tours. 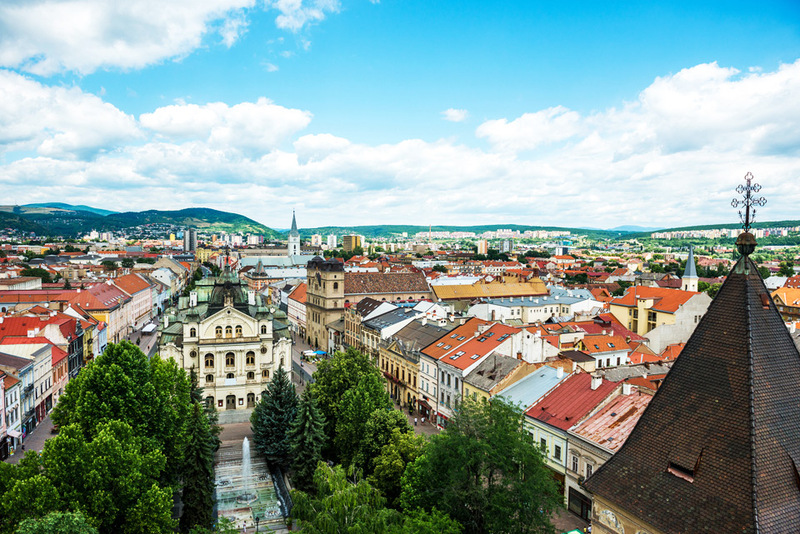 Kosice, the second largest city in Slovakia, has the biggest historical center among all cities. The well-preserved buildings including the 14th century Gothic St. Elisabeth Cathedral, forms part of the city center with most of the main attraction located in or around the Main Street/Hlavná ulica. Košice is said to be the home of the oldest marathon in Europe. It is also said to have the largest heritage reservation in Slovakia. Attractions include the East Slovak Museum aka the Východoslovenské Múzeum which is listed as one of the oldest Slovak museums and has over 500,000 objects. The Hlavné Námestie Square is considered the heart of Košice, is closed to vehicular traffic and is surrounded by many historical buildings including the Cathedral of St. Elisabeth. Other attractions include Spiš Castle, St. Urban Tower, the Slovak Technical Museum and the State Theatre Košice, the home of ballet and opera. Presov has many attractions for visitors including churches and castles and other monuments. 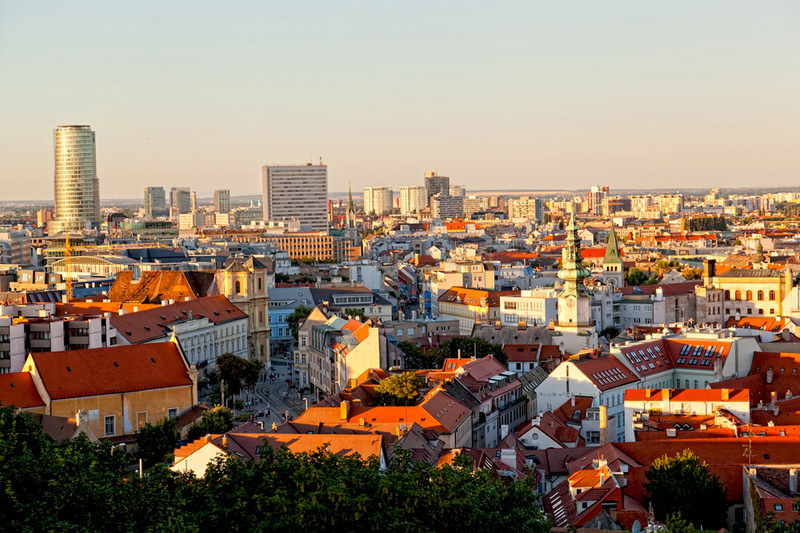 It is the third largest city in Slovakia after Bratislava and Košice. 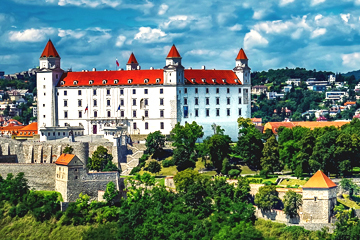 Nitra is the fifth largest city in Slovakia and like most cities it also has its own landmark castle, the Nitra Castle. 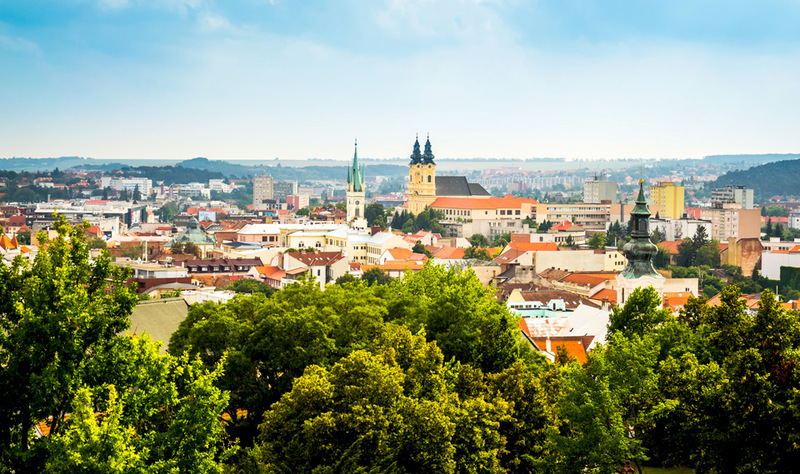 There are also many other historical monuments as well as many activities for nature lovers including the Zobor Mountains Nature trail, Nitra Calvary, Gallows Hill and Nitra Town Park. 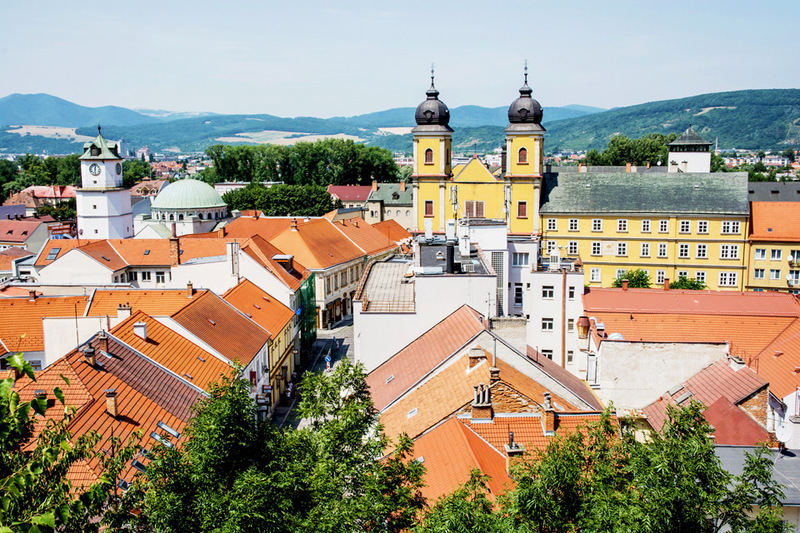 Located close to the borders of both the Czech Republic and Poland, Zilina is considered an industrial hub and is the fourth largest city in Slovakia. It also has its own castles like the other cities. The Budatín Castle, which houses the Považie Museum is one of its main attractions. Town hall in the main square of Zilina, Slovakia. SNP Square is one of the popular places in Banská Bystrica and most of the other attractions are located close by. Interesting fact, the tower of the clock is also a leaning one like that of Pisa, but is lesser known as you would imagine. 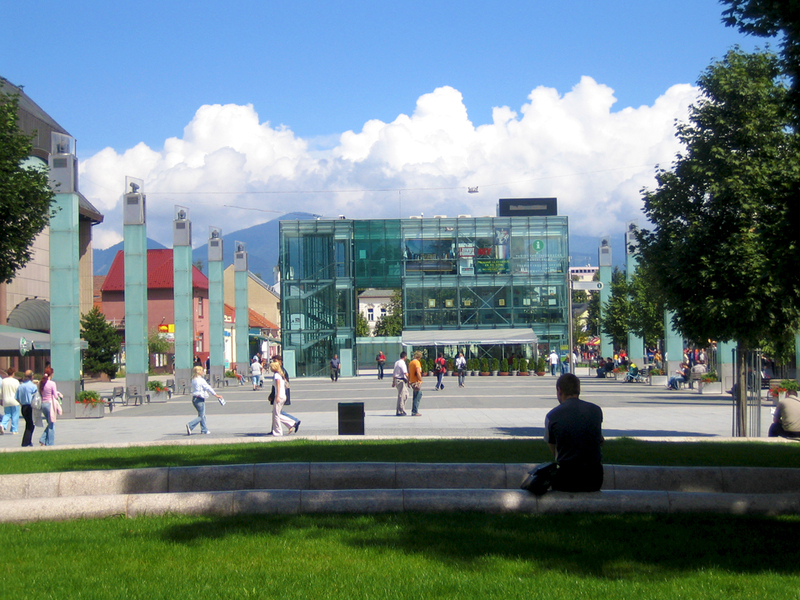 SNP Square in Banska Bystrica, Slovakia. 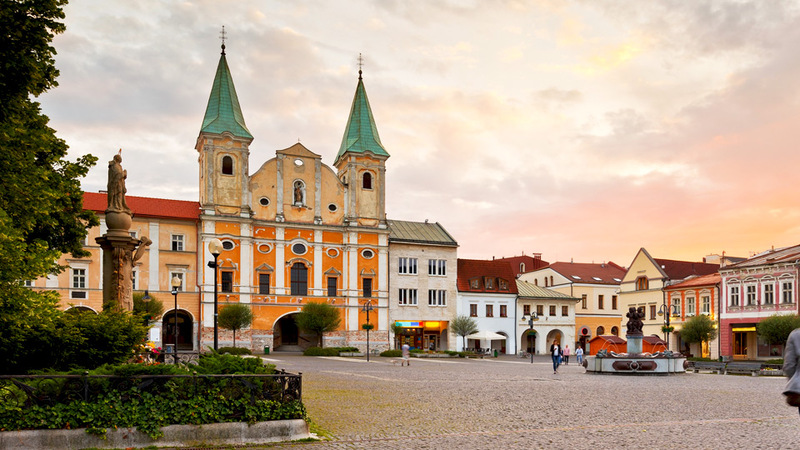 Trnava, the seventh largest city in Slovakia is often referred as “Little Rome” or in recent times as “Slovak Rome” because of the concentration of churches within its city walls. Attractions include the City Tower (Mestská veža), Trnava University and the Cathedral of St. Nicholas. Located close to Zilina, Martin is the eighth largest city in Slovakia and sits between the Veľká Fatra and the Malá Fatra mountains. Compared to the other cities the historical center of Martin is small with some of its main attraction being the Ethnography Museum, The Church of St. Martin and the Museum of the Slovak Village. There are many things to do and see in Bratislava, the capital of Slovakia including a visit to the St. Michael's Gate, The Bridge SNP also known as Most SNP or the UFO Bridge, Bratislav and Devin Castles, Zlaté Piesky, the Bratislava Zoo, Esterházy Palace, the Franciscan Church as well as Church of St. Elisabeth. 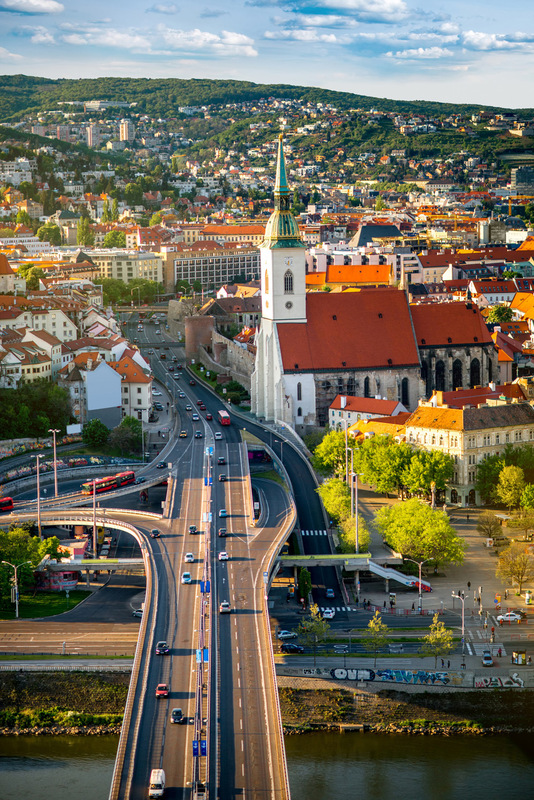 If you consider yourself a foodie then, you can delight in a feast of traditional Slovakian cuisine as well as Austrian schnitzel and Hungarian goulash. You can then wash it down with some wine from the Bratislava Region. 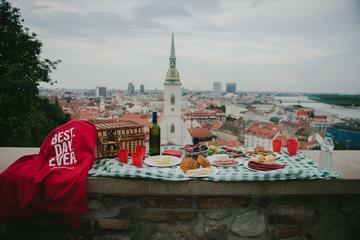 According to the Bratislava Tourist Board website, the capital was the first place outside France to produce sparkling wine back in the 19th century. If you like outdoor adventure and activities you should definitely visit the Low Tatras for hiking and skiing during winter. 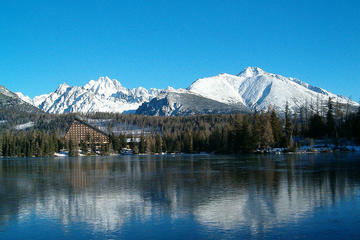 The Tatras, both the High and Low are the most visited mountain chain in Slovakia. Slovakia is home to many beautiful castles so you would definitely want to have a look at some of them. Some of the castles in other cities are, the Nitra Castle in Nitra, the Budatín Castle in Žilina, the Bojnice Castle in Bojnice, Orava Castle in the village of Oravský Podzámok, the Strecno Castle in the village of Strečno and the Krasna Horka Castle, which is located in the village of Krásnohorské Podhradie. There are several caves worth exploring in Slovakia. They are the Gombasecká Cave, the Dobšinská Ice Cave, the Ochtinská Aragonite Cave, which is listed as an UNESCO World Natural Heritage Site and the Domica Cave, the longest cave in the Karst National Park. There are several national parks in Slovakia where you can enjoy the natural landscapes and scenery along with attractions and activities they offer. Some of those parks include the Slovak Paradise National Park, Veľká Fatra National Park, Dunajské luhy Protected Landscape Area, the Muránska planina National Park and the Low Tatras National Park.